Reinforcement of trusses may be required in cases where mistakes were made at the design or construction stage of the structure. Incorrectly calculated loads or material properties can lead to partial deformation of the roof, and even to its complete destruction. In this case, reinforcement of rafters becomes an urgently necessary procedure that can save your home. Ways to strengthen the truss system. Rafters, which are the basis of any roof, should be periodically checked for any defects or damage caused during the operation of the roof. If they are found, it is necessary to strengthen and strengthen the roof system of the house, garage, shed, bath or other buildings. Errors during installation and calculations can occur with any type of roof systems, therefore home craftsmen need the ability to strengthen the rafters for each of them. 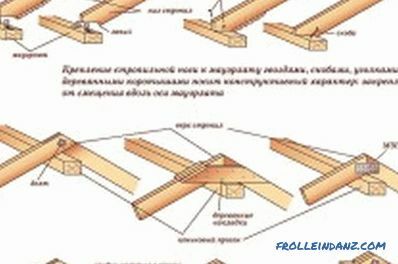 Strengthening of rafters can be carried out in several ways, the main of them will be discussed in detail below. These methods can be applied both individually and in their entirety. In each case, homeowners themselves must resolve this issue. But it’s best not to save money and take into account that the destruction of the roof over the same garage can damage a car and cause substantial material damage, not to mention the danger of deformation of the roof structure of the house. The supports are installed in cases where wrong calculations have been made of the loads on the rafters, and as a result, an increase in the cross-section of the beams holding the entire roof structure is required. To carry out such an increase is quite easy, for this you need to install and fix this additional beam between the power plate and the subrafter foot. It is attached either with bolt clamps or special steel plates with teeth. 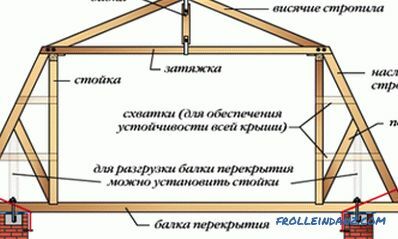 Main types of roof systems. 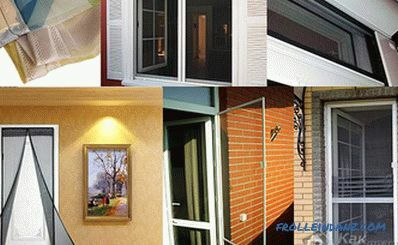 The place where the rafter foot is applied to the strut also requires the homeowner's special attention, since it is in this place that the maximum bending pressure occurs. For clarity, remember how you broke a stick through your knee as a child; it is the role of the knee that the strut performs. To reduce the load and the risk of deformation of continuous rafters in the place where they rest on the strut, we advise you to increase the cross-section of the beam at the expense of covering it with overlays of boards. The thickness of the pads depends on the calculation of the required section for the structure at the planned bending loads. The rafters are connected with reinforcing plates using various fasteners, but more often with nails or special bolts. If at the same time the length of the support is extended beyond the point of support, then it is possible to increase not only the strength of the beam, but also the entire connecting unit. Sometimes a project may have an error in determining the angle of the roof slope, and operation reveals this miscalculation. 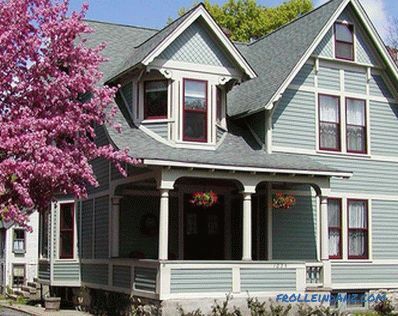 For example, if the slope is not steep enough, snow accumulates, which can damage the roof. In this case, there is a need to introduce some changes in the design of the rafters. To this end, new parts of the rafters are attached to the old elements with the help of wooden walls and nails, thanks to which the newly formed farms become more rigid and change the roof slope in the right direction. 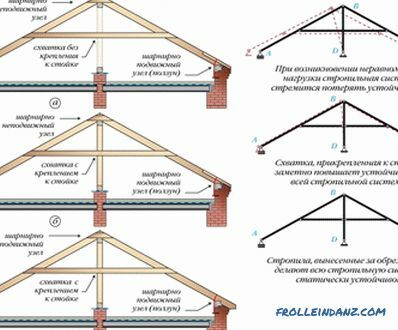 This method will allow you to make changes to the trusses and not reassemble the entire roof, however, it will not be possible to make any special changes to the under roof space either, since neither enlargement nor somehow can be configured. The roof truss construction of any structure is most vulnerable in its lower part, this is where it most often needs to be strengthened - this is the bottom of the truss legs and the beam of the power plate. The reason for this vulnerability is that it is in the zone of contact of wood and brickwork that condensation most often forms and moisture gets in case of damage to the integrity of the roof. Another reason is the use of poor-quality wood, which was either raw or dried in violation of technology. 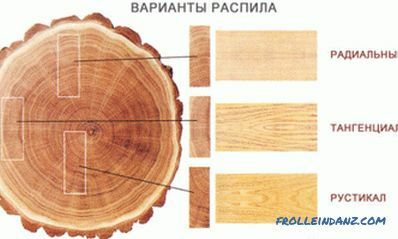 All this leads to the formation of putrefactive processes in wood and its destruction. Therefore, during construction it is important to pay attention to the choice of high-quality material and to ensure reliable hydro and vapor insulation. The absence or improper functioning of ventilation ducts can also cause moisture accumulation and wood destruction. 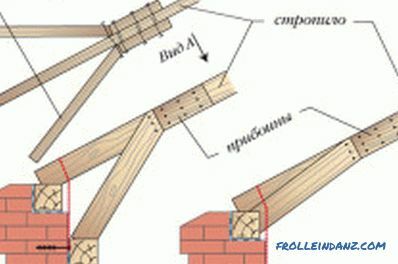 To strengthen the roof frame, in this case, use struts. They are attached to the lower end of the truss foot and abut the Mauerlat or Lezhin.The number of such additional braces depends on your situation. To give additional stability, the struts are fastened slightly at an angle, that is, their lower part is slightly distributed to the sides. It is the emphasis on the floor that allows you to remove the impact of bending deformation on the span of the rafters in this part. Strengthening scheme of the rafters with additional struts. If, however, it was not possible to protect yourself from the damaging effects of rot on wood, you can try to reinforce damaged sections of the rafters or mauerlat of your house or garage. If we are talking about one case of damage to the rafters, then you can do with wooden plank plates. They are fastened with nails or bolts, while their lower part of the board lining should rest against the mauerlat, to ensure additional reliability of fixation, while the lining in this place is better attached to the mauerlat with steel wire. But if we are already talking about massive damage to the rafters, when deformation or rot is detected on many rafters, then it is necessary to apply a special system of prostheses. These prostheses are made of steel rods and mounted on an intact section of the structure, while the deformed part is simply removed. For this operation, you need to fix the rafters with special temporary supports and remove the damaged part (for this you will have to disassemble a part of the roof). Then you should cut a prosthesis of the same size from the same tree and place it in the place of a remote area, with its lower part it should rest against the power plate. Steel rods of the prosthesis provide additional fixation of the whole structure. then the leg of the rafter is fixed on both sides with struts, which rest on the newly installed beam. Works to strengthen the rafters of any roof is a whole complex of works, which includes various operations to correct the deformation and destruction of the wooden elements themselves or their place fasteners. Deformations are most often expressed through curvature and the formation of cracks in the bars and rafters and other wooden elements of the roof, but sometimes intervention is required and when it is necessary to fix poor-quality bonding between parts of the system. In the latter case, it is worth paying attention to the key junctions. First of all, make sure that the rafters and the roof of your roof are properly secured; in this assembly, problems often arise with insufficient attention to installation. 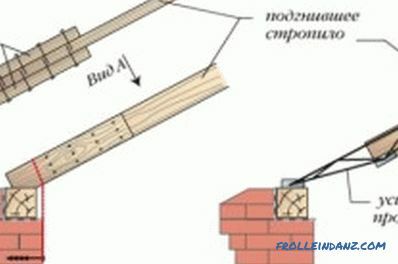 When correcting defects, it is necessary to achieve maximum tight joining of the rafters and ridge beam, this can be helped by the use of a special jack. For high-quality strengthening of this site use various techniques. This unit is fastened with the help of either a special steel strip with perforated holes, or various wooden plank linings, or by fitting the rafters onto a steel fastening bolt. 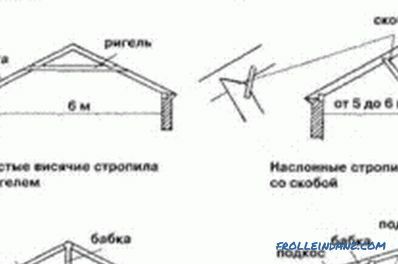 In each of these methods, several options can be distinguished, for example, wooden lining can be mounted both above and below the ridge beam, there are several types of metal plates for reliable fixation of the rafters and linings. There are some secrets in correcting the deflection of rafters. To do this, on the inside of the beams, special wooden stops are securely fastened, after which with the help of a jack, the rafters are straightened, and between them are alternately inserted durable lintels. Such a system will help resist external pressure on the roof and rafters and stop the deformation of the latter. 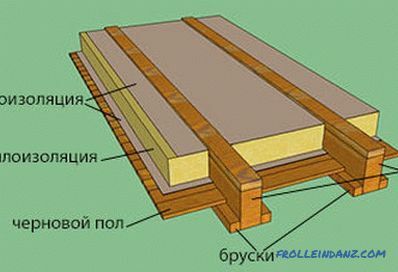 When reinforcing the feet of the rafters through building a bar, it is necessary to choose the right parameters. In width, it should be either equal to the rafter, or slightly wider. For ease of installation, the timber is fixed with self-tapping screws to the truss beam, and then it is drilled through holes through both elements, after which the entire structure is mounted on special steel bolts or studs. These holes are best drilled in a staggered manner, which increases the structural resistance to stress during bending. The diameter of the drill and the studs should be equal. The fastener is made of steel studs with self-locking nuts and washers. This design is not only easy to install, but also reliable in operation.It will not become loose and will last as long as the wood can withstand.